Drafting out a resume is no Herculean task. It is absolutely necessary to jot down the right statements at the right place to make an outstanding resume in the eyes of the hiring managers. 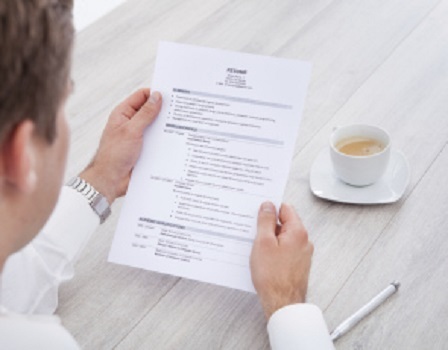 A good resume is the one which convinces a hiring manager to hire you out of a pile of resumes. You obviously do not want to struggle with long and ugly sentences of qualification which is a pain to type as well as read when it comes to hiring a candidate. You have to stand out of the rest, isn’t it? So how do we go about highlighting numbers in resume? Numbers in Resume: How to Use Them? The only way to make your resume stand out of the crowd is to make use of numbers. Making use of quantifiable numbers has always been a green signal to most of the job seekers. A human eye has always said ‘yes‘ to statistics and numerical when to choose among a thousand odd resumes filled with lengthy statements. Numbers are one way to punch down your resume to be the best of the rest. It showcases a candidate’s eligibility and accomplishments in a scale. If made proper usage of numerical in a resume, it can land you to the job you have been dreaming since long. The first and the most important point that comes when taking into consideration about numerical and stats is that the range has to be taken into consideration. 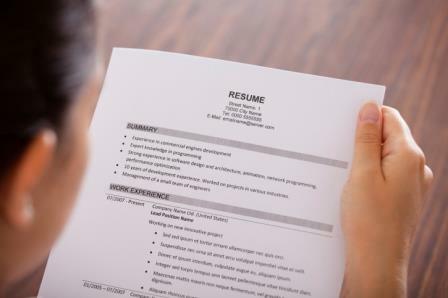 It may happen that sometimes you are unaware of the exact number to be written down in a resume. For instance: I have been responsible for supervising undergrads. The second instance goes as: I have been responsible for supervising 5-9 undergrads. It is therefore necessary to make use of range while scaling down a resume. It gives a better picture, clear estimation, focused personality and a bit of leeway. Scaling down the actions is a must while writing a resume. It is extremely important to make a count on all the possible scaling adjustments to be done while drafting a resume. It serves the purpose of an eye catchy statement and brings down to the bottom line as far as resumes are concerned. They can be used as pop ups in an extremely elongated resume. For instance: Inspection process by upgrading sensing devices. The second instance: Managed to upgrade on an inspection process by sensing devices on a line of $500- $10000. You have to be persuasive enough to convince the managers in hiring you. Having a keen perspective about stats will definitely help you in bagging this situation to the topmost level. For instance: Logged in for 1500 hours without any holidays to work for the benefit of the company. Yes, it is true that statistics and numerical are extremely important while drafting a resume. But that does not count to you neglecting totally on the statement writing part. One has to keep in mind the sides, i.e. numerical and statistics as well as statements, and sail through well. By adding a brief explanation about how to go about in a resume adds to its beauty and thus will help you resume being effective enough. For instance: Logged 1500 hours without any injury to any team members and focused well on the work to be done and completed the task with full achievement and accomplishment. It is also important to learn about how frequency can add beauty to your resume. Also, frequency is one of the easiest ways in adding numerical and statistics to a resume. It acts as an eye catcher and grabs the attention of the hiring manager in one go. Frequency basically means indicating how frequently a particular task has been done. It gives a clear picture to the hiring manager about your capabilities in handling a particular task and making the best out of it. For instance: Successfully completed the printing of articles. The second instance: Successfully completed printing of 100 articles in 2 months. Comparing one’s achievements with others is one healthy way of knowing more about your competitors and their positions in the market. It is a tough world out there and you need to compete with all sorts of competitors and bring the best in you. Make it as a healthy debate with ups and downs of both the teams so that it matches well with your accomplishments and showcases you talent in the top most level. For instance: you have won 10 awards in 3 years and your rival has won 5 in 5 years. Show them in a statistical way in your resume to grab the eyeball of the hiring manager. Hawk your skills and talents while drafting a resume. Put forth all the possible accomplishments you have done for your previous company in a positive manner. Send out positive vibes to the hiring manager in regard to the savings done by you for the benefit of your firm. After reading the entire resume, the hiring manager should picture you as money saving tree, the one which every person in this world wants it to be in his/her backyard. For instance: I have been successful in eliminating redundancies worth $500 in my department. This point is of absolute importance as it showcases the timeframe in which you were promoted from one post to a higher post. It gives out a clear and better picture to the hiring manager about your skills and accomplishments. Imagine yourself being on the position of an assistant editor and now being placed on the position of a sub editor in just 5 months. Won’t you like this achievement to be showcased and highlighted on your resume? You need to think of a message to be conveyed and then worked over it to be drafted in a responsible manner. Identification of a matching statistic helps in making your resume stand out of the rest and helps you bag this opportunity. For instance: Wanting to focus on dependability or commitment to the company. Which one to choose among the two? One: 0 days missed for continuously 10 months. Two: Worked on 10 holidays to maintain the continuity of the service. Numbers are not of the first language but they definitely count in for the second language. 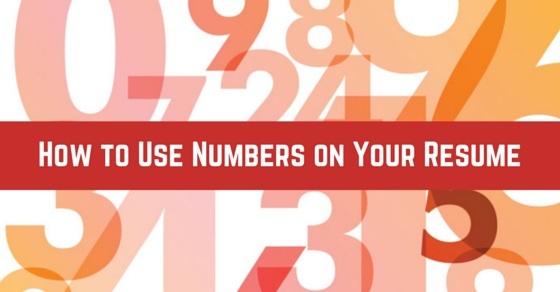 Numbers may help you bring out the best in your resume so far. All of your skills and talents showcased can be translated into numbers and thus, will add an everlasting impression on the minds of the hiring managers. Hence, while short listing the eligible candidates, your resume will not be the last one to choose from. If you are your bosses’ favorite and have won a hell lot of merits, then, it is your time to show off a little bit of your skills. Make a graph of your numerical ranking and list down a few possible counterparts with your name on the top. It has to be impressive enough to showcase your talent to be the best among the rest. For instance: I was placed on number 3rd among 165 candidates. Enlist all the possible scales in which there has been a distinguishable amount of increase or decrease in the productivity over a certain period of time. Talk about the advancements made by you for the benefit of your company. 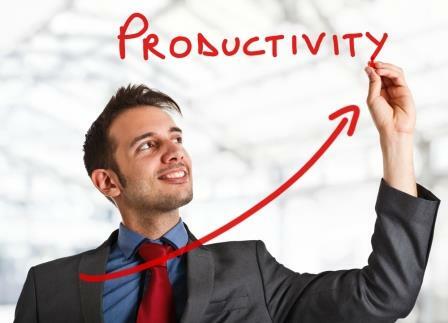 Give as much as focus to your accomplishments made to increase your productivity rate. Showcase all the possible tact’s used by you to save your company from facing any type of crisis. For instance: Made a drop in expenditures of over 5% in over a span of 5 months. Hawk about your reach over the consumers over a certain period of time. Let the hiring managers ponder upon your skills and accomplishments and all the good qualities in you which helped your previous firm to reach limitless zenith of success. That does not definitely count for you spinning nine hours straight working for the benefit of the company. For instance: Designed a portal that made an outstanding reach over 2k users. It is true that statistics set you apart and make you shine out in the crowd no matter what. Stats are powerful as they make your resume look worthy enough to read. Also, it helps to convey any sort of information at ease and smoothly and worthy enough to be understood in one go at a glance. It is a matter of fact that space is limited in a resume. One cannot go on writing and describing about one’s qualifications and accomplishments. Stats help in performing that function and giving out high end results in no time. These signs should be used whenever possible as it acts as an eye grabber in the minds of the hiring managers. These signs count in for numberical and hence add on to the beauty of the resume. That does not definitely count in you using it unnecessarily and anywhere and everywhere. Utmost care should be taken into consideration whenever such signs are being made used. It implements on a certain approach of training or working with a particular firm. Resumes are the heartbeat of any career search. If researched well, it will tell and sell your story at the same time. Your resume is a replica of what your personality is and how well you mould it to be. Make proper usage of these statistics and numerical to work in the place where you have been longing since a while. Numbers make a distinguishable difference to the resumes. No matter how and what your work involves, numerical and statistics will always help your resume to be the best among the rest. However, many people hold negative impression about numerical and statistics. Such cases should not be taken into consideration. Nothing in the world helps in demonstrating your success more than numbers as compared to the statements used. Make use of these tips while polishing your resume, and witness a considerable difference in making your resume stand out! Previous articleLaid Off vs Fired: What is the Difference and Why it Matters? Next articleHow Volunteering Can Lead to Employment Easily?